Debut Novel, "In Between" : Summer 2019. Sassy Jacksun is a multi-media author and artist, who is an avid reader, a dog lover, a sometimes singer, and a wanna be bachata and salsa dancer. She lives with her husband, in the Midwest, but someday she wishes for the ocean to be outside her backdoor. Sassy has been writing screen plays for fifteen plus years to feed her film addiction. In 2008, she published her first poem, "Women's Work" in a Creative Arts Journal for the city of Cincinnati (created by the University of Cincinnati). This is what began her official, divine descent into authorship. Also, her characters that usually appeared in her screen plays, started demanding to be seen and heard in other medium formats. Respectfully, Sassy agreed. However, that is a story for another day. 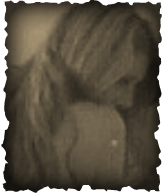 Her first indie novel, _In Between, will debut mid- year, 2019. Film-making is another huge part of Sassy Jacksun's life. The JustAskHer Productions crew (and Sassy) have participated in the 48 Hour Film Festival, and other small independent film festivals for the last ten years. Next year, they plan to continue their traditions and hopefully add some new ventures to their schedule. "The heart wants what it wants and it does not discriminate, so why should anyone else." Characteristics necessary for her main characters include (but are not limited to): a sassy mouth, an open mind, sapiosexuality needs, primal urges, safe words, and intra-personal skills. But please note: her characters may not have a handle on the characteristics listed above. Also, her characters must believe in the paranormal and the supernatural, in some way and need to understand and/or love highly sensitive personalities (H.S.P. people). More importantly, her characters do as they please when she is writing. She has no control over them, and she believes that is the way it is meant to be. Sassy's favorite genres to read and to write: Contemporary Romance, Paranormal Romance, Paranormal Thrillers, Supernatural Thrillers and Erotica. You can see what the JustAskHer Productions crew is up to by clicking on the tab above. 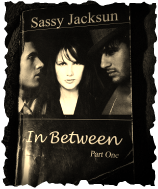 ​Sassy Jacksun's first indie novel, _In Between, will debut mid- year, 2019.